Went to pay me a visit whilst I took a snooze. To see my face plastered in pie of key lime. Who clearly possessed the Key Lime Projector. "The juiciest pie of key lime in your eye!" Of his piety, honor, achievements, and station. I knew in a moment that this must be Saint Archimedes. And drew a fine circle, and through it secanted. "Hmm, a chord would be better," the math geek recanted. He turned aft to see what reaction affected. "It's pi!" were the words that St. A released. "No, pi!" he expressed, with more fervor now. Drawing circumscribed dodecagons with a smirk. He'd calculate ratios twixt perimeter and width. "Over seventy-one is the lowest you see!" "With the maximum being twenty-two over seven!" And with that disappeared he again to the heavens. In a ratio of circuit to score preordained. With no hope of rest with it being so primed. "Give me a lever, and I'll move the whole world!" 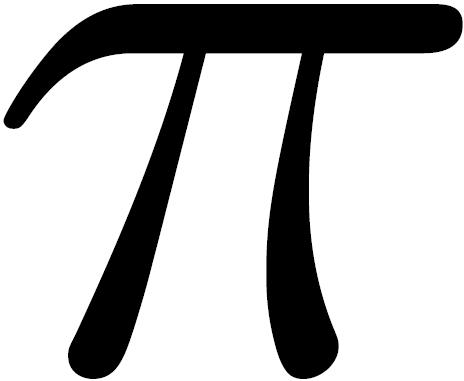 Happy Pi Day to all and to all a good night!